Even the best hiring processes don’t always result in perfect hires. Hiring managers may carefully screen applications and resumes, interview the most promising candidates and check references. They narrow the choice down to a few possible hires and conduct all of the necessary employee screening checks. The best candidate passes with flying colors, and everyone agrees to make an offer. But it doesn’t always work out. 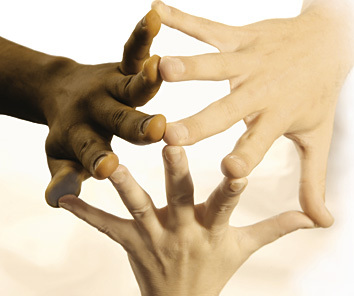 Employees don’t meet expectations, or are unable or unwilling to improve their performance. Some break company policies—or even the law. For whatever reason, every employer at some point faces the unpleasant task of letting employees go. But it’s not easy. Because termination is an expensive process, with the potential for legal problems, experts recommend going through a standard process to protect the company from legal issues and retaliation. A solid paper trail of documentation will help. It can start with the hire: give all employees an offer letter or include in your employee manual that employment is at will and may be terminated at any time. Do be aware of employment laws. Not every offense is a terminable one. Employee manuals should be given to each employee, with clear policies and the consequences of breaking them. Performance evaluations or appraisals are a must, especially for new employees. Conduct them at 30, 60 and 90 days, to keep track of discussions and warnings regarding employee performance. Base your termination decision on performance, unless the employee has policy infractions serious enough to warrant termination, such as theft, failing a drug test, or on-the-job alcohol or drug use. When the decision is made, act quickly. When it’s time to tell the employee, be prepared. Gather all the necessary documentation, including any required forms for the employee to sign. Have a witness with you. Prepare what you’ll say, and keep it professional. If there is any severance pay, let the employee know. Keep the conversation short and don’t argue. Allow the employee to vent if necessary. This is not the time for your feelings or emotions to come in. Try not to apologize or over explain the reasons, which could cause confusion. Of course, if you have questions about terminating employees, consult your legal advisor. Whether you’re new to interviewing job candidates, or have been at it for years, we’ve got some news for you: the same old questions won’t do. The purpose of the job interview is to find the person who can do the job you need to fill, fit in with your company’s culture and stay out of trouble. Not all questions will get you to that goal. “Tell me about yourself” – This question is just too general to result in the information you need to know to hire the right person. “Would you like some coffee?” – Don’t distract yourself or the interviewee from the task at hand. If they say “yes” out of sense of politeness or obligation, you’ll then have to find out about cream and sugar, fetch a mug, make the coffee. Skip the beverage service and get to the interview. “Do you have your references?” – Again, this detracts from the interview and puts the focus on former employers, friends of the family or semi-influential community members that the candidate might want you to know all about. Save this question for later in the process. “Where to you want to be in five years?” – There are few good answers to this question. If the candidate answers with “in your chair,” or “president of the company,” is that really what you want to know? They can’t say that they’d like to stay for two years and then jump ship to their buddy’s startup. And if they say they’d love to be in the same job, in the same cubical, doing the same work, what does that say? Of course, there are questions that can get you into big legal trouble, specifically those that lead to claims of discrimination. Employers are not allowed to ask family-related questions, such as asking a woman how many children she has, or about an applicant’s religion, national origin, marital status, race, disabilities, health or physical abilities, or age. Asking whether an applicant is a U.S. citizen is also illegal. 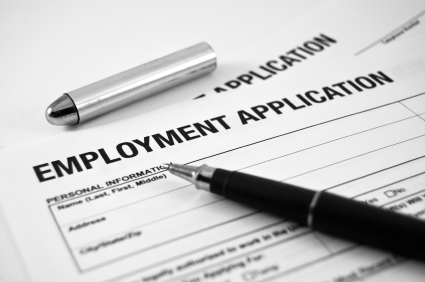 This summer, a bill was introduced in the U.S. House of Representatives that would prohibit an employer from inquiring whether an applicant for employment has been convicted of a criminal offense. The federal “Ban the Box Act” allows for two exemptions: when a conditional offer of employment has been made or if granting employment could pose unreasonable safety risks to specific individuals or the general public. If the bill passes, the Equal Employment Opportunity Commission (EEOC) would be required to issue rules and guidelines for employers to follow. They would define the categories in which an applicant’s criminal history would pose such a safety risk, and the factors to consider when making the determination that hiring an individual poses unreasonable risks. The bill’s sponsor is Representative Hansen Clarke (D-MI), who has said the goal is to curtail recidivism, since individuals with criminal histories who cannot get jobs are more likely to commit additional crimes. Co-sponsors of the bill are John Conyers, Bobby Rush, Charles Rangel, Frederica Wilson and Keith Ellison. According to GovTrack.us, a website that provides information on pending legislation and members of Congress, the bill is currently is in Committee, awaiting a report. The site’s prognosis is that the bill as a 2% chance of being enacted, mostly because just 4% of all House bills in 2009 – 2010 were enacted. “The Box” refers to the area on an employment application where applicants are required to check a box if they have been convicted of a crime. Many states and municipalities across the U.S. have enacted such bans for themselves and employers of certain sizes. Some prohibit criminal background checks and employment screening until a conditional employment offer has been issued. 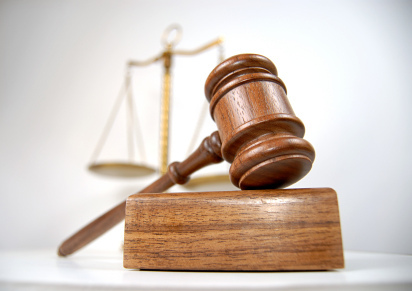 Others allow criminal history checks if a conviction is related to the position. Employers should check the laws in their localities, and utilize only a professional, trusted background check provider such as CriminalData.com. A worker fired from her job at a Christian university in Lakewood, Colo. has filed a lawsuit against her former employer. She claims she was let go after administrators asked if she were “living in sin” with her boyfriend. The woman said she was “shocked” that the school was concerned enough about her personal life to fire her over it. After administrators refused to communicate with her about the issue, she decided to file the suit. The suit states that an innocent incident of getting coffee with a married male coworker led to the plaintiff being questioned by a university vice president about an “alleged relationship” with the man, as well as questions about her personal life. She claims no relationship existed, but was told she had been seen “laughing and joking” with him. The vice president allegedly went on to say that the fired worker was a distraction to the coworker’s marriage, which would hinder her career at the university. The employee was approved for FMLA, which she claims is another reason for her dismissal. She also claims the university violated state law for terminating her for lawful activity off premises during nonworking hours (the “living in sin” part). This could be an uphill battle for the plaintiff; the Supreme Court generally upholds religious institutions’ hiring and firing decisions, based on their beliefs. We’ll keep an eye on this case and report any progress. This week, the U.S. Equal Employment Opportunity Commission (EEOC) issued updated guidelines regarding employers’ use of arrest and conviction records in employment decisions. The ruling was made pursuant to Title VII of the Civil Rights Act of 1964. The new guidance updates and clarifies the EEOC’s previous policy, in an effort to help job seekers, employees and employers. The report discusses how using criminal history reports could violate Title VII, how federal court decisions analyzing Title VI as applied to criminal records, compliance with other federal laws that restrict or prohibit employing individuals with certain criminal records, and the differences between treatment of arrest and conviction records, among other topics. While little of the guidance document is new, it does consolidate a series of documents in one place. One HR group spokesperson said it does not appear “to impose a one-size fits-all set of rules” and seems to consider employers’ disparate needs and concerns when using criminal background checks for pre-employment screening. However, there appear to be potential conflicts between this document and state laws that require criminal background checks in certain industries and positions. Among the groups showing support for the new guidance include civil rights law groups. One issued a statement saying that it will “greatly reduce the misuse of criminal history background checks to deny employment to persons of color,” because the guidance strengthens enforcement efforts against employers who are not using criminal background checks properly. 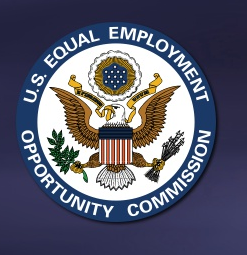 A Q and A page on the EEOC’s Enforcement Guidance can be found here. It reinforces that Title VII does not prohibit employers from obtaining criminal background reports on job applicants. California employment laws have long stated that employers must provide employees with a meal break. But the law was unclear regarding whether employees are prohibited from performing work during that time, or if they may work if they choose to. If the employer does all that, and employees still want to work, they have the right to do so. 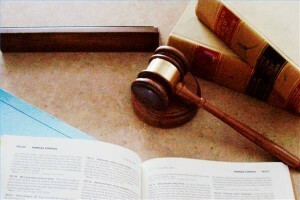 The unanimous ruling was seen as a victory for employers. Another part of the decision specifies that employees must get one meal break for every 10 hours of work, rather than a break for every five hours, as some employee advocate groups had argued. Employers will no longer be required to “babysit” employees, say some. As long as they make meal breaks available and encourage employees to take them, they are not liable for claims brought by employees that they didn’t receive them. Employers are not allowed to apply pressure or provide incentives to work without breaks. And they must pay employees for any work performed. However, they are liable only for straight pay, not overtime pay—unless the extra 30 minutes puts the employee in an overtime situation. The ruling came as a result of an eight-year legal battle against the company that owns Chili’s restaurants, for allegedly requiring employees to work through meal and rest breaks. Employees claimed that they were made to clock out for breaks, but to continue working through them.